Can you believe it? Wooden Pontoon Boats! 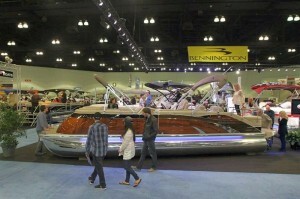 The recent upsurge in the sale of pontoon boats is truly remarkable. 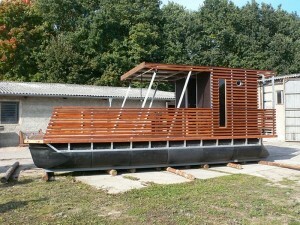 No doubt, there is a comfort factor and user friendly appeal to these floating barges. 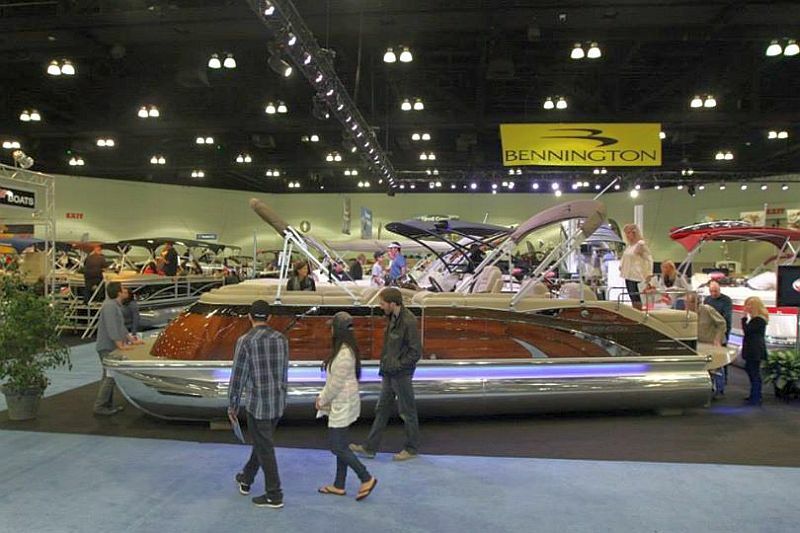 The really high end models, such as the Bennington, below (apparently listed for six figures) are like mobile floating living rooms, with all the comforts of home. 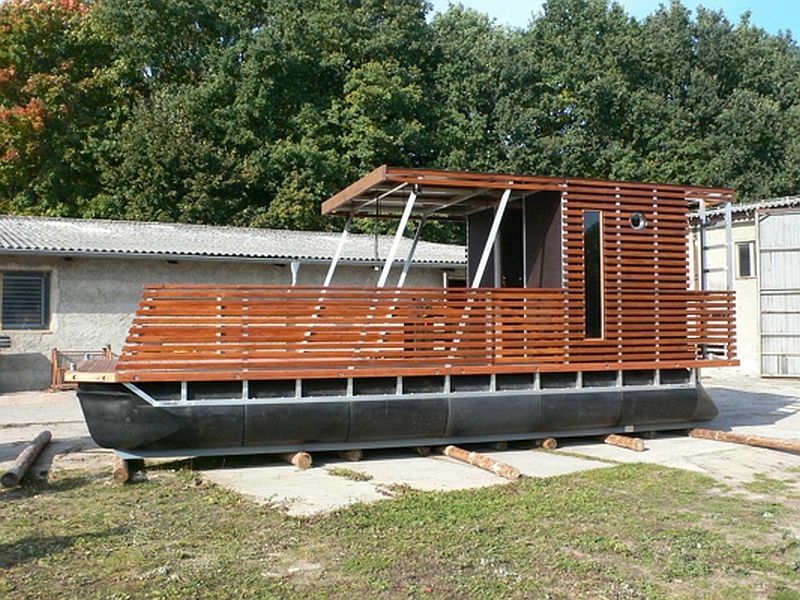 Lower priced units. 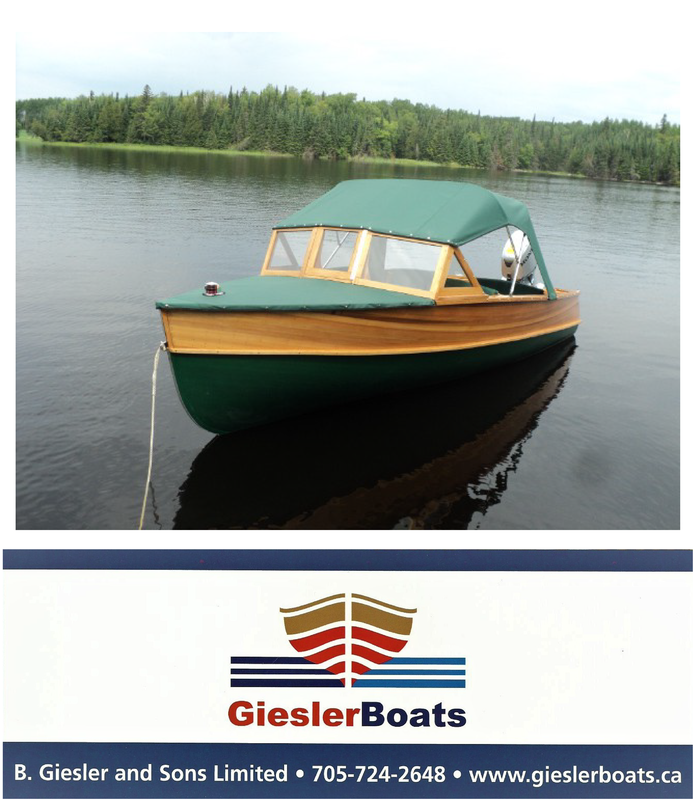 however, offer many of the advantages of the premier models, with comfortable cushions and lots of level deck in which to circulate and enjoy a beverage. Some will accommodate twelve passengers, who can conduct a business meeting and still store all the golf clubs on board! 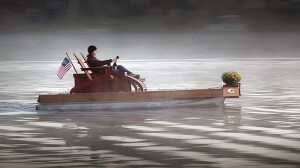 Not all these pontoon boats are powered by 300 hp. 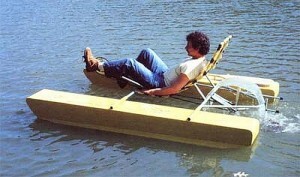 Mercury outboards. Some go the green route and are pedal powered. 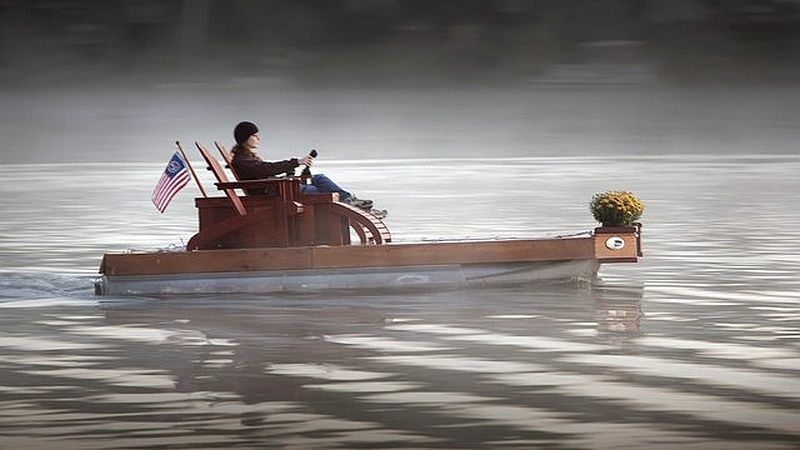 Wooden boat enthusiasts, not to be left out in the cold, have offered their own modifications to keep wood in the picture. 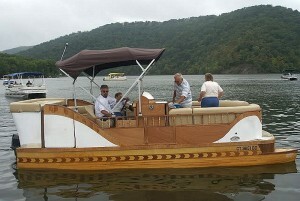 There is something about the malleability and beauty of wood that guarantees its presence in the boating world. (Photos below). 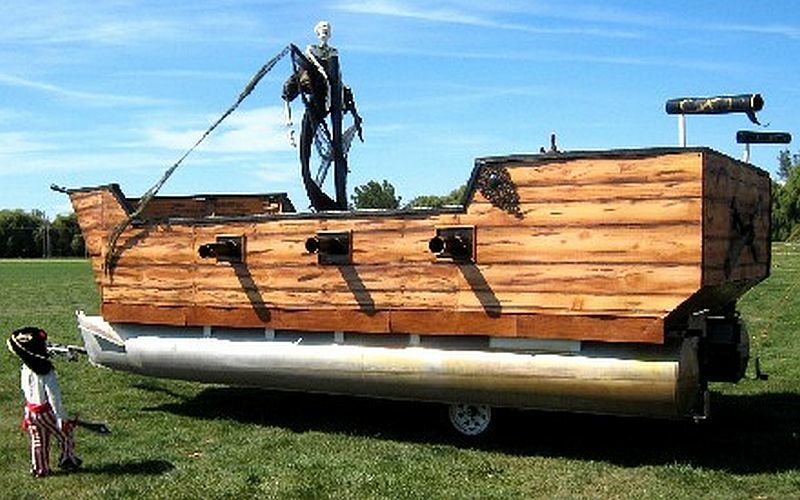 PS: We don’t necessarily recommend a wooden pirate ship!